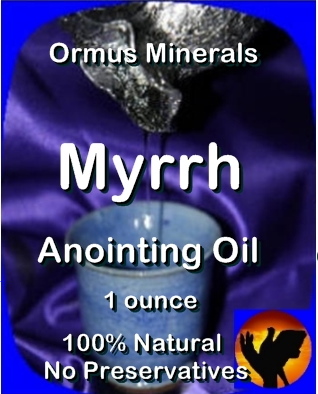 Our fragrant ORMUS Minerals Biblical Anointing Oils are made using the finest essential oils, flowers, tree resins, and herbs imported from aroung the world and ORMUS Rich Grape Seed Oil from Italy. Each of these oils are mixed with 100% ORMUS Rich Grape Seed Oil and have ORMUS Minerals added to make a very unique special Anointing Oil for your use as you pray for others. It has a heavenly scent and can also be used as a perfume. Made with the finest Frankincense, Myrrh, Cassia, Himalayan Cedar Wood, Lavender and essential oils in a base of ORMUS rich Grape Seed Oil from the Italy.